Trained as an engineer, American artist Alexander Calder was born into a long line of sculptors being the fourth generation to take up the art form. He began constructing at a very young age his first known art tool was a pair of pliers. At eight, Calder was creating jewellery for his sister's dolls from beads and copper wire. Over the next few years, as his family moved to Pasadena, Philadelphia, New York, and San Francisco, he crafted small animal figures and game boards from scavenged wood and brass. 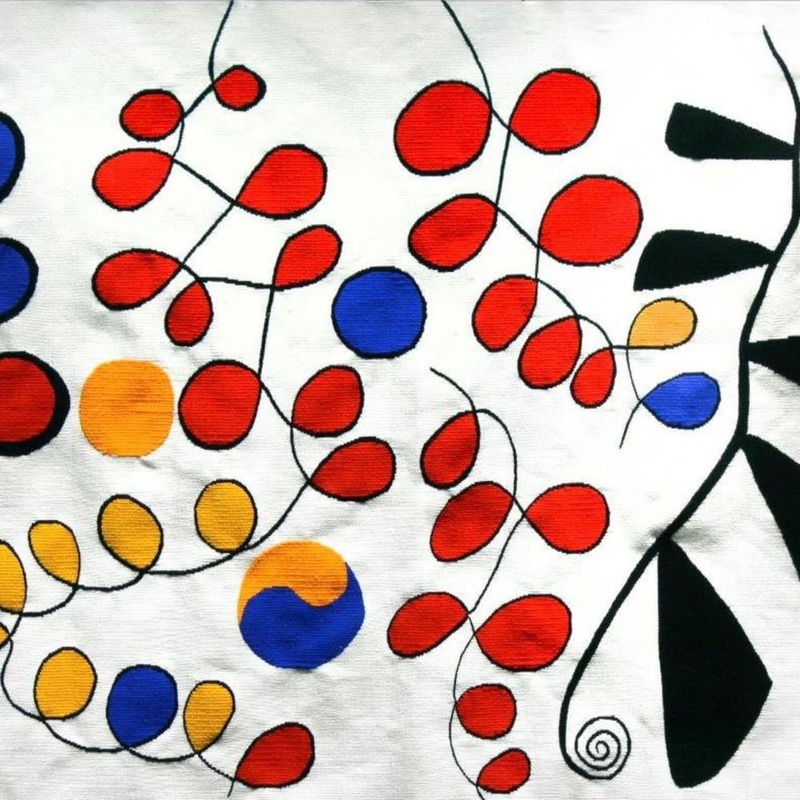 Calder's interest initially led not to art, but to mechanical engineering and applied kinetics, which he studied at Stevens Institute of Technology in Hoboken, New Jersey (1915-1919). He studied painting at the Arts Students League (1923-1926) and then moved to Paris in 1926, he began working abstractly in wire, wood and sheet metal, and his first exhibition of mobiles (a term coined for his work by Marcel Duchamp) was held there in 1932. His works are characterised by their dynamism and often has become world renowned for his enchanting biomorphic mobiles, and also for his free-standing, non-moving stables. With his early Calder's Circus, Calder injected wit into serious art and introduced the concept of the artist as a performer as much as a maker of art, inspiring such artists as Claes Oldenburg and his whimsical Ray Gun Theater (1962) performances which involved artists Carolee Schneemann, Lucas Samaras, Oyvind Fahlstrom, Tom Wesselman. The influence of the sweeping linear gestures in Calder's mobiles can be seen in the work of Abstract Expressionists Franz Kline, Willem de Kooning and the later Jackson Pollock works.